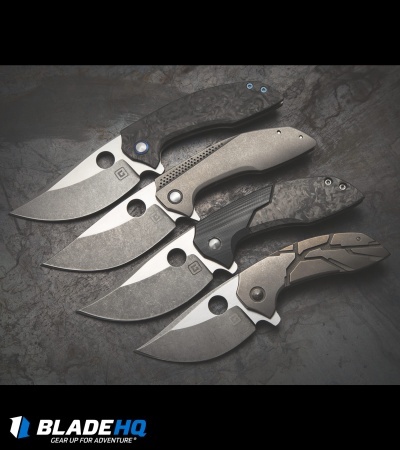 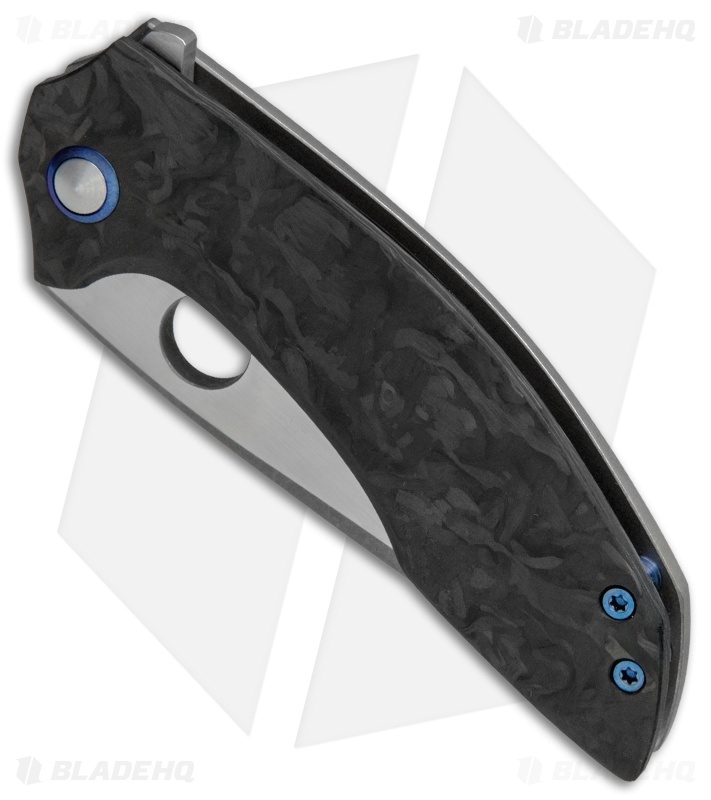 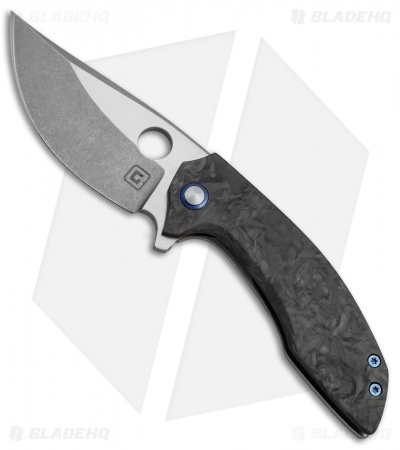 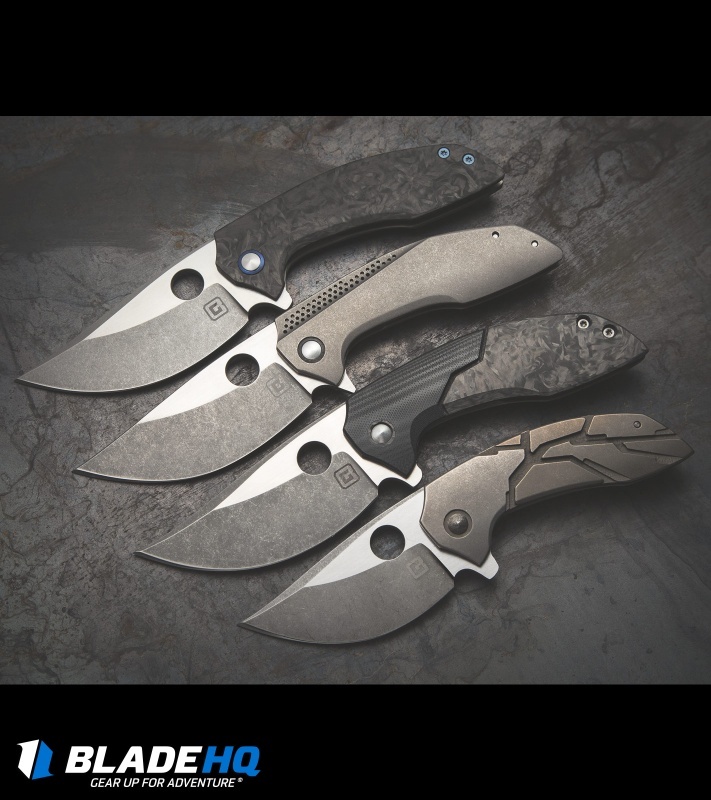 This TuffKnives Custom Catalyst O from Geoff Blauvelt offers EDC perfection with a marbled carbon fiber front scale and durable titanium frame lock construction. Its curved handle rests comfortably in the hand for top-notch comfort during use. 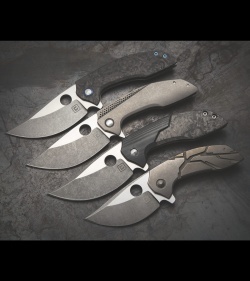 The CPM-154 blade features a rounded belly and an impressive two-tone finish with satin flats and acid wash grinds. 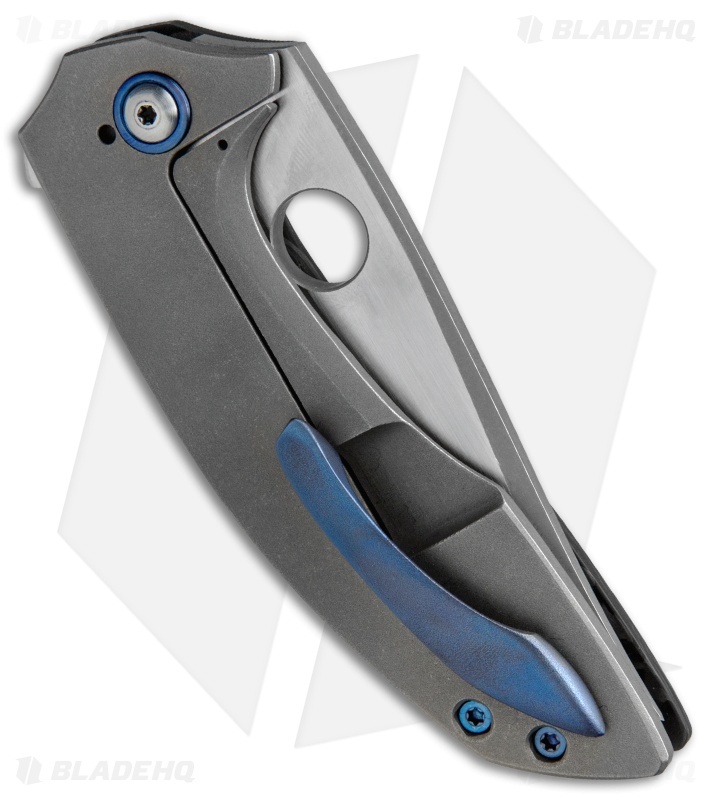 A blue anodized titanium pocket clip, stand offs, and pivot rings add just the right accent to this flawless custom design.